To be sealed with the Holy Spirit is not something that is unique to the 144,000 that are mentioned in the book of Revelations. All of the Elect who are in Christ are sealed or set apart unto Him. The final book of the Bible comes with a warning that is quite serious, and yet it is all but ignored by the false teachers in the church that simply exploit the Word of God for their own personal gain. Yahshua warned us that many would come and use His name claiming to be of Him; these impostors would deceive many (Math 24:5). You shall know them by their vain or empty words, as they preach a powerpoint sermon about a Christ they do not have a relationship with. Today we not only have Jewish fables to contend with but now we have Judeo-Christian ones as well. One that is quite outrageous is that the church will be raptured away, and yet many come to be saved through the 144,000 of the twelve tribes of Israel that are left behind. It is taught that those who are sealed witness to the world, and that the Great Tribulation is a time for Israel to come to salvation, as all the Christians are raptured away. Below are the facts that prove this theory to also be false, as well as the relevant verses that refer to those that are sealed. 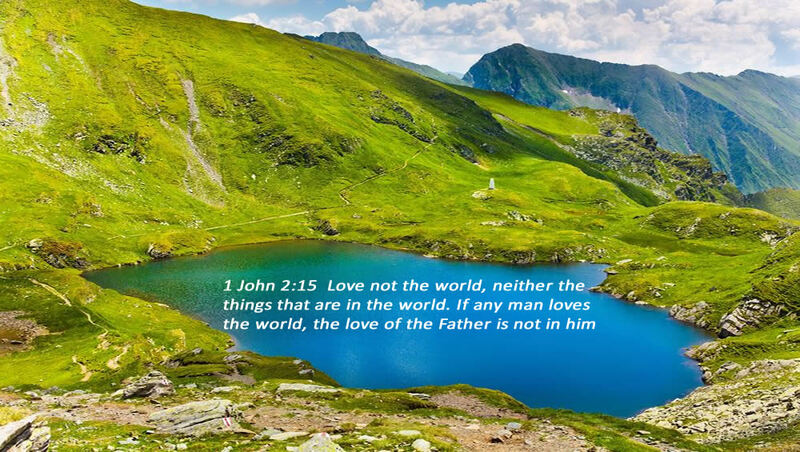 John 6:27 Labour not for the meat which perisheth, but for that meat which endureth unto everlasting life, which the Son of man shall give unto you: indeed the same that are set apart unto God the Father are sealed. The earnest (which is a down payment) of our inheritance with Christ, is that we are sealed with that holy Spirit of promise. The fulfillment of this contract is our redemption which is realized when Christ returns with our Salvation (Eph 1:13-14, Heb 9:28, 1 Peter 1:5). 2 Cor 1:21-22 Now he which establishes us with you in Christ, and hath anointed us, is God; Who hath also sealed us, and given the earnest of the Spirit in our hearts. 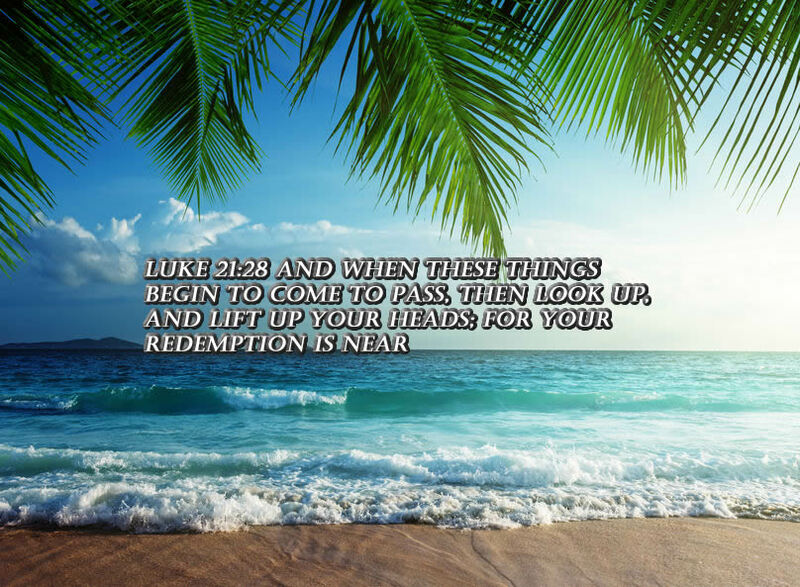 And then shall the Son of man appear, and when these things begin to come to pass, then look up, and lift up your heads; for your redemption is near (Luke 21:27-28). There is nothing to suggest that the 144,000 who are sealed witness to anyone. In this verse, the 144,000 are not mentioned, but we know that there are believers in Christ that are sealed with the Holy Spirit of promise, and thus protected from the Fifth Trumpet Judgment (Rev 9:1-11). All of God’s Elect are sealed with the Holy Spirit of promise. This occurs when we are Baptized in the Spirit. Becoming a born-again follower of Yahshua is also a reference to this gift given to His Chosen. Rev 14:1 And I looked, and, lo, a Lamb stood on the mount Sion, and with him an hundred forty and four thousand, having their Father’s name written in their foreheads. Yahshua, who is The Lamb of God, stands upon Mount Zion with the 144,000 that are sealed with the Holy Spirit of promise. With reference to this group here in this chapter, there are two possible scenarios. If they are with Him in heaven they could not be witnesses to those on earth. If this is an earthly reference, Yahshua has returned and there is no longer time for witnessing. Rev 14:4 These are they which were not defiled with women; for they are virgins. These are they which follow the Lamb whithersoever he goeth. These were redeemed from among men, being the firstfruits unto God even the Lamb. It should also be noted that the 144,000 are in fact redeemed from among men, and are the firstfruits unto God. The word redeemed in this verse refers to a purchase. Yahshua redeemed or bought us, with His shed blood that takes our sins away. This group also is said to be without fault before the throne of God. Compare the words first fruits and redemption in the verse below for context. This group, the 144,000 who are sealed with the Holy Spirit of promise are referred to as the Children of Israel. The word child can also mean son. He that endures until the end shall be Saved, and to those that overcome the world and all of the deceptions in it, they shall be called the sons of God (Rev 21:7). Those in Yahshua that are led by His Spirit are the Sons of God (Rom 8:14). We are sealed with the Holy Spirit of promise, in order that we may have fellowship with Yahshua through the Spirit (1 Cor 1:9; Eph 3:5-12; Phl 2:1). We are commanded to come out from among those that are living lives unto idolatry, and we must put off iniquity. By doing so we become the Sons and Daughters of God (2 Cor 6:16-18). All that fulfill the Law of Yahshua, are the true Israel of God (Gal 6:1-16). 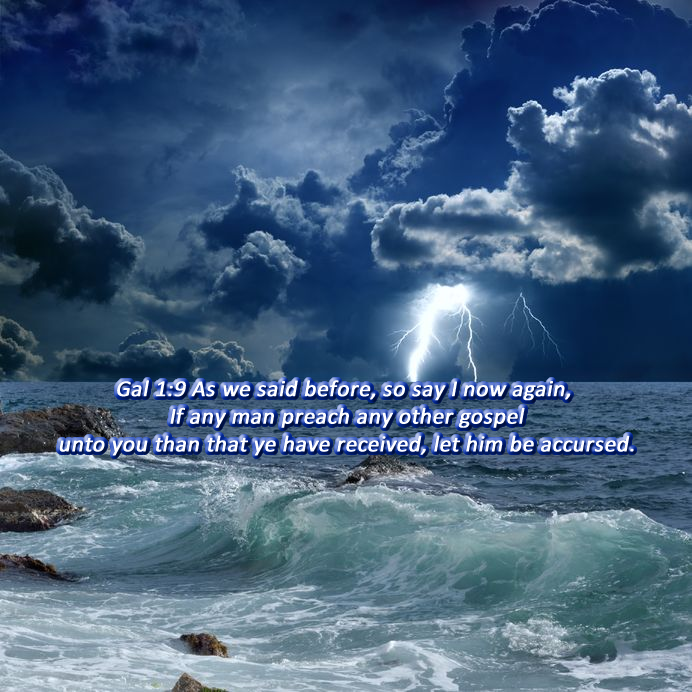 Many within the church present a false gospel, in an attempt to validate the pre-tribulation rapture theory. Our Lord shall be revealed, does not refer to a secret snatching away. This event will be very visible. Yahshua returns with rewards for all of the elect who are sealed with the Holy Spirit of promise, who will look upon Him with great admiration. However, in 2 Thes 1:8-9, the vengeance and punishment reserved for those that do not know or obey Him is vividly described. This speaks of His second coming as a judge and redeemer and again a secret rapture is not implied. All of The Elect in Yahshua are Sealed with the Holy Spirit of Promise Unto Salvation. The Elect are sealed with the Holy Spirit of promise unto Salvation. We are called the Sons of God, and when Yahshua returns we shall receive glorified bodies that are incorruptible and immortal (John 14:26; 1 John 3: 1-2; 1 Cor 15:52-53). 2 Cor 1:21-22 Now he which stablisheth us with you in Christ, and hath anointed us, is God; Who hath also sealed us, and given the earnest of the Spirit in our hearts. When we are sealed with the Holy Spirit of promise, we receive the Baptism of the Holy Spirit, and this is the earnest or down payment unto our Salvation. Through the Holy Spirit of God, we are sealed with the Holy Spirit of promise unto the day of redemption, which is our Salvation. Deliver us from evil is a prayer we all know very well, and at the end of this age, it is fully realized in Yahshua. Yahshua’s second covenant unto mankind was to take away their sins. Instead of allowing a covering for them as was the case under the Old Testament law, He became the final sacrifice under the New Law (Mat 6:13; Luke 11:4; Eph 4:30 2 Cor 1:9-10).